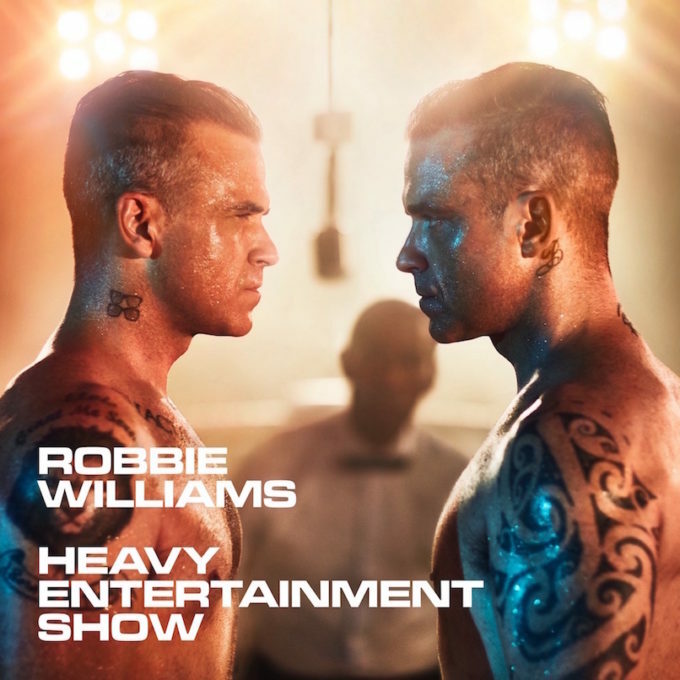 IT'S THE ROBBIE WILLIAMS 'HEAVY ENTERTAINMENT SHOW' ALBUM REVIEW! Find out whether our reviewer David will love it or loathe it in his Robbie Williams ‘Heavy Entertainment Show’ album review! As one of musics greatest artists of the modern era, how do you proceed with your 11th studio album to keep it fresh and relevant? With great gusto it seems! ‘Heavy Entertainment Show’ is an album filled with entertaining tracks and pop music that is true to his pop sensibilities in this day and age. As ridiculous and as controversial as it is as a song, “Party Like A Russian” gets stuck in your head. It’s infectious, brash and over the top – expected for Robbie Williams. While it might seem like he’s taking the mickey out of Russians, I actually felt like he was paying homage to how big and bold they are when it comes to partying. Album opener and title track ‘Heavy Entertainment Show’ blurs the lines of ludicrous and brilliant. My favourite line from the song, “he will sell his children, for a hit in Belgium,” had me in stitches. He does a great job making sure it still feels like a genuine pop song and not something super kitsch. On a serious pop note, his second single ‘Love My Life’ is a grown up affair and feels very introspective. I think many people feel like this is the style of music he’s headed for in the coming years and it’s a great glimpse into the future as it’s a cracker of a track. It proves Robbie isn’t just a joker and can be a serious pop star too. One of the only things I dislike on this album is Robbie’s penchant for including a song where he basically screeches his way through the track. He had one on his last pop record that was an instant fast forward and it’s no different here with ‘Motherf****r’. Skip past this track and while you’re at it, you may as well skip ‘Bruce Lee’ too. The bonus tracks on the deluxe version are high quality and worth spending extra money on, which is a nice surprise. In fact, I’d swap a couple of them into the main album for the two tracks I really didn’t enjoy for a better listening experience. Robbie continues to find a way to surprise, entertain and share his talent with the world. Let’s hope he delights us again with a tour announcement when he visits these shores for promotion later this month. MUST LISTEN : Time On Earth, Love My Life, Party Like A Russian.